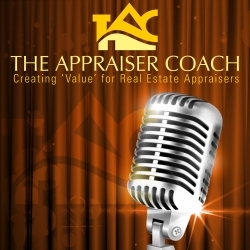 In just 16 years as an appraiser, I’ve seen and heard many things. Some, I just want to forget and some I wish I never heard. Appraiser pressures aren’t normal everyday life pressures, they’re different.Typically, when business is good, it’s for reasons like doing a great job and providing a great service. Or, it could be because one aims to keep the client happy by hitting value, which is not exactly a good thing. If business is slow it could be because the market slowed, the quality of service is poor, not providing obscure requests for updates, or maybe they removed you from their list of approved appraisers. Hell, we all know it could also be because your fees are reasonable but considered unreasonable to the AMC and they continue to shop for the cheapest. Truly sad days in this respect. We became appraisers to do the best jobs possible for our customers, abide by laws and regulations, and uphold the public trust. Today, too many AMCs are controlled by lender demands and if they can’t make the lender or client happy they risk losing the account. To leverage themselves, they’ve negotiated my time, my expertise, and my contribution to the process on my behalf and unfortunately, they’ve done a very poor job negotiating and it’s starting to show. In this example of client pressure, a subject property appraised for $180k; the contract was for $225k. Five comparables were provided on the subject street including one across the street. All five were renovated like the subject and the sale across the street was an almost perfect match to the subject; it sold for $180k a month prior. Three others on the same street sold between $175 and $180, within 3 months of the appraisal. They were the same style of home and similar size, too. The last one was around the corner and sold for $195k and a little larger in size. When I submitted the appraisal, I was BOMBARDED with requests to consider other sales that were larger, sold several months back, and one had a basement. After I addressed as to why they weren’t used, I resubmitted the report. They sent it back again with two more sales to consider that were also less relevant than the comparables provided. In total, this happened three times. So basically, what they were saying is that all of research and verification of recent sales on the same street were insufficient compared to cherry picked sales from around the market area. This is what value pressure looks like. Pressure to change the value to meet everyone’s expectations to make the deal work, not what is right or correct to protect the public trust. I did not succumb to the pressure and for that, my assignments went from several to zero. In another example, a subject appraised for $370k, the contract was for $385k, the list price was $400k (this is important). I used sales in the immediate subdivision, three of which had finished basements, that ranged from $350k to $385k. Once the report was submitted, I was immediately contacted by the selling agent claiming I failed to do my job and failed to consider chandeliers and drapes and two Tupperware containers that were claimed to be rain collection systems (I’m not joking). I was then supplied with two new sales to use; both from other subdivisions down the road. I was also provided a prior appraisal that was completed three weeks earlier. Upon review, I see this is not an appraisal report at all, it was a desktop report and the appraiser picked the top 3 sales from other areas instead of using the comparables in the immediate neighborhood. The desktop value of $400k is the (same as the list price). An interior inspection was not completed and relevant adjustments for differences in basement area and finishes weren’t considered. I received three messages from the agent threatening to turn me into the state. The lender asked to reconsider value three times. I did not fall for this pressure and continue to uphold the public trust to do what is right for everyone, not my wallet. THIS IS WHAT PRESSURE is like for appraisers. Hit value, get paid. Don’t hit value, get fired or quit. I work hard and do the best I can possibly do, yet some who have never understood appraising, have the education or credentials to appraise, are suddenly somehow now the experts. Bill Black describes it perfectly as the Gresham’s Dynamic in valuation which simply means that bad ethics and practices push good ethics and practices out of business. No one cares until it’s too late and THEN want to cry wolf. I am sounding the alarm for consumers, if you really want to know your net worth, hire an independent and trustworthy credentialed appraiser to serve YOUR best interest. This is about your home and the well-being of your family. I am the appraiser who does not fall for control fraud and neither should you.